Close-up of a Pumpkin Spice Macaron. Macarons are a delicate looking French dessert that I, like many, are enthusiastic about. I've loved macarons ever since I laid eyes on them, to the point that I wanted to make them myself at home. Fast forward past many macawrongs and after some successful macarons later, I've found a recipe that works. 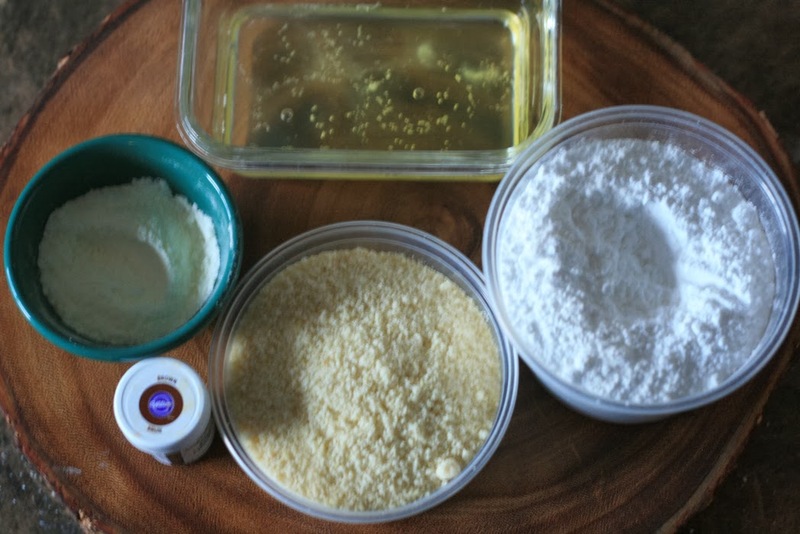 This post along with the subsequent two posts will be about the macaron making process and tips. These macarons were created as my fall macaron flavour - pumpkin spice buttercream! Materials for making macarons at home: mixer, piping tip, and piping bag. This will make about 40 macarons (approximately 80 shells depending on size). So, you are probably wondering why the ingredients need to be measured to the exact gram with the kitchen scale. One key factor to making a successful macaron is to keep the proportions the same every time you make macarons. By keeping all ingredients exactly the same, it will be easier to trouble shoot when your macarons become a macawrong! I have found that aging egg whites from real eggs helps with the creation of the meringue. Storing the almond meal in the fridge prior to using it to bake macarons is better as it prevents the almond meal from going rancid. 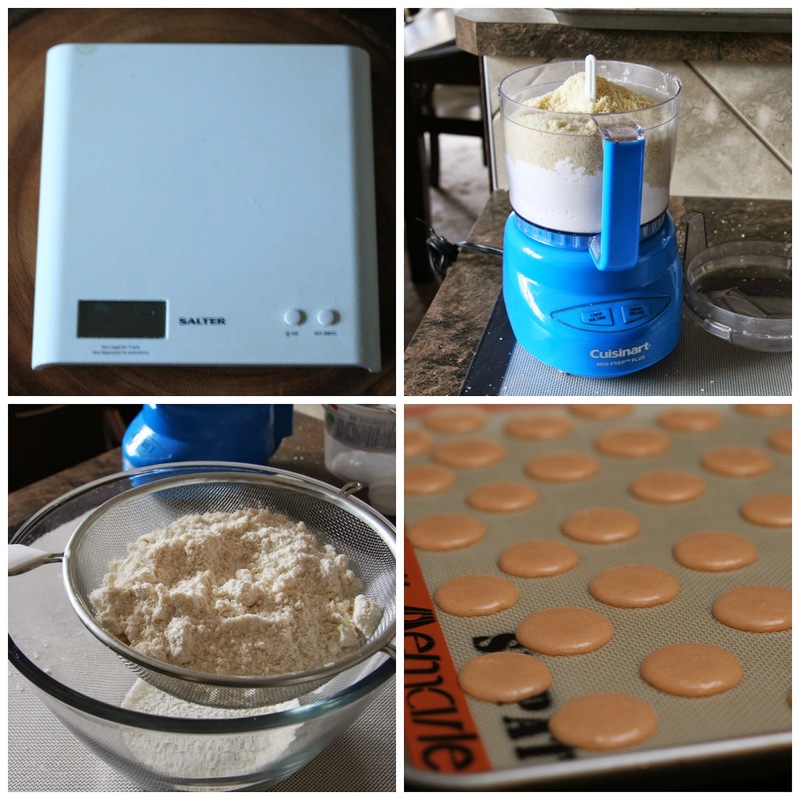 I usually take the almond meal out and let it come to room temperature before using it to make macarons. 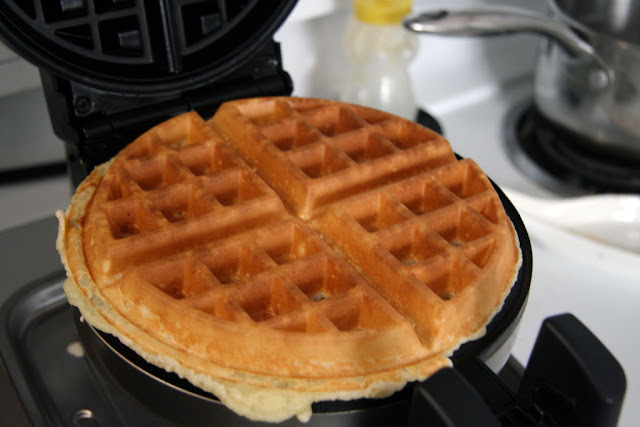 Lastly, using albumen (powdered egg whites) helps to stabilize your meringue. 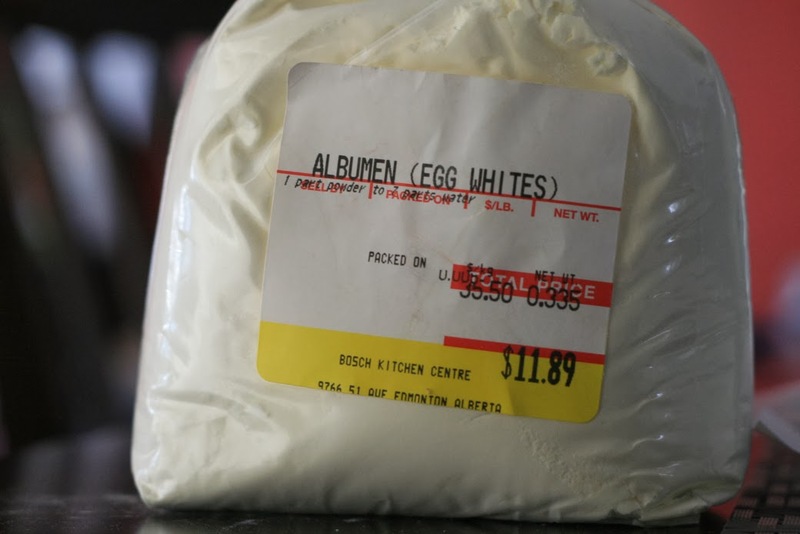 The albumen blended with some extra fine sugar is added while the egg whites are forming the meringue. Now that we've covered the equipment and ingredients that are needed for making macarons, we are ready for the next step! 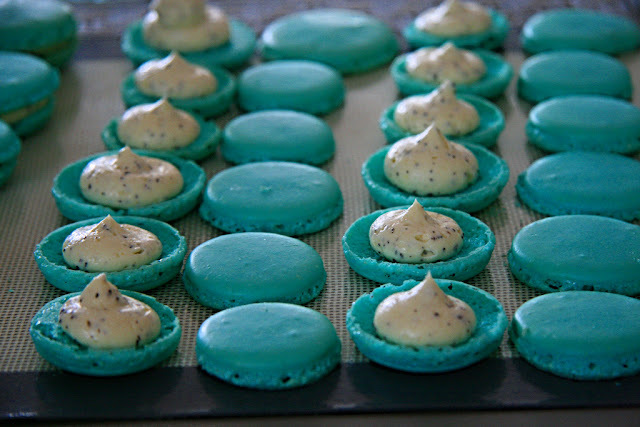 Check back for my next post on making the macaron shells. In the meantime, what is your favourite macaron flavour? Leave a comment below! For more photos or to connect with me, follow me on twitter @beyondumami, instagram, or on Facebook. I might have to revisit making macarons using your guide, Lil. Tips on humidity would be helpful, the last batch likely failed due to high humidity! Oh my goodness! My Mom and I were looking at pictures of them in a magazine, and she kept calling them macarons, and I thought she was wacko! LOL. And that's why I am inclined to say I do not like them as I hate coconut. It was such random timing that my Mom said macaRON, then I discovered your site and that's writing all over. I've been SO confused. I've looked at some of your recipes and other articles about them and saw no real mention of coconut and I was so thrown off. You have no idea how appreciative of that explanation I am! I am SO glad I didn't 'correct' her! ;) I am still not a buttercream kind of girl, but I would give the right flavor a try. Coconut-free is what I'm all about! @Jo-Anne Pfoh you should make these! 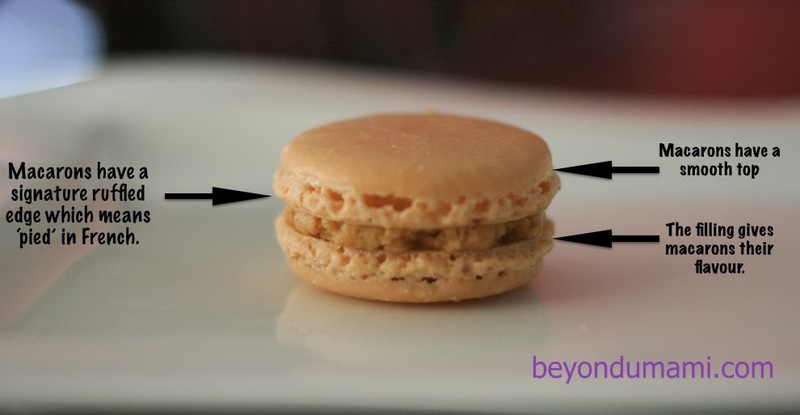 If you follow along on all 3 of these Macaron 101 posts then you will pretty much know what you need to start. The thing to keep is mind is that having the right equipment is important to be most successful on your first try. AND, if you fail the first time that is okay. They are finicky but so worth it to make! I certainly had a few failed batches the first couple of times I baked them. Macarons don't always have to be filled with buttercream...which again is nothing like the icing you get on cakes. I haven't found buttrecreams being sweet at all! Macarons can also be filled with all sorts of fillings like jams, salted caramel, chocolate ganache (think chocolate pudding but better). Famous macaron places can often be found in Paris like Laduree and Pierre Herme. I also hear they have opened shops in Hong Kong and New York now. Are there any bakeries that sell macarons around where you live?